Give an athletic touch to your classic outfit with the Timberland Davis Square Fabric/ Leather Chukka. Crafted with premium leather and Cordura® nylon uppers, the Timberland Davis Square Fabric/ Leather Chukka offers sleek street styling that is perfect for the everyday casual guy. The interior is lined with a soft mesh for against the skin comfort and adjustability is present with the classic lace-up system. With a unique looking outsole made of 15% recycled rubber, the Davis Square provides superior traction on a variety of surfaces. 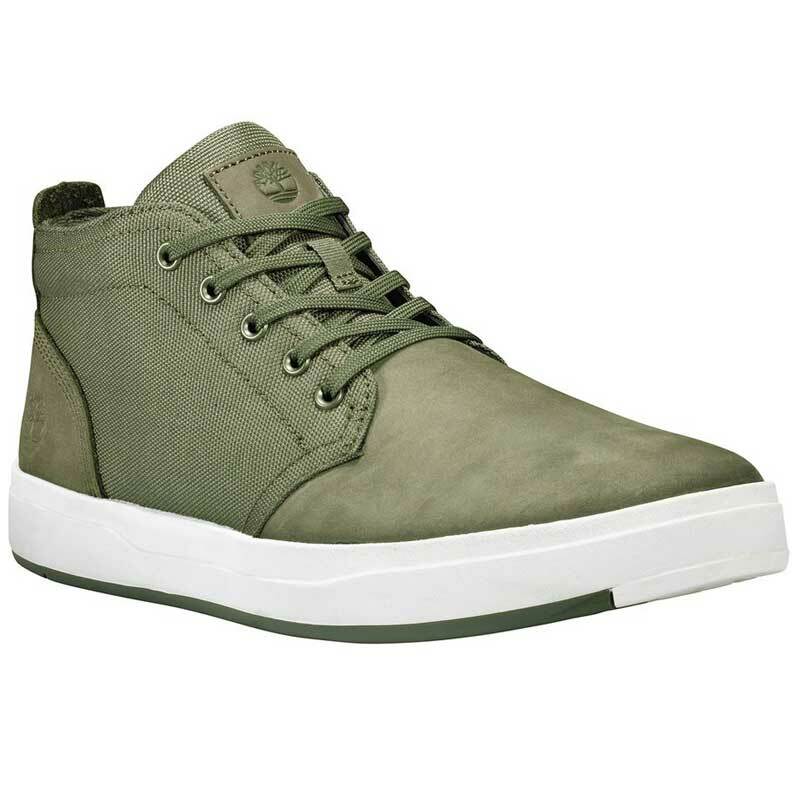 Express your effortless style in the Timberland Davis Square Fabric/ Leather Chukka!